Before coming to the point that how to write a fax cover sheet one should be aware of the concept of what fax cover sheet and for what perspective it is used for. Well, cover sheet to use to convey the message or information from the sender end to the recipient end. The send and recipient may belong to the same firm or organizations or might be possible that they belong to different areas. Fax cover Letter can also be used to personal perspective or professional as well. To write a fax sheet firstly take a paper or it can be written in Word as well. So, your sheet should consist of title FAX COVER SHEET at the top position. Enter the date on which you (Sender) are going to send this fax. Enter the company name of the recipient. Now, write down your own i.e. Sender’s company name. The contact information of the recipient as well as the sender. Cover sheet includes the unique fax number so, that it becomes easy for both the parties to discuss cover sheet. Then, write down a number of attached documents if any so that one should be aware of the attached documents. After this, there will be blank space for writing down the message or information to the recipient by the sender. 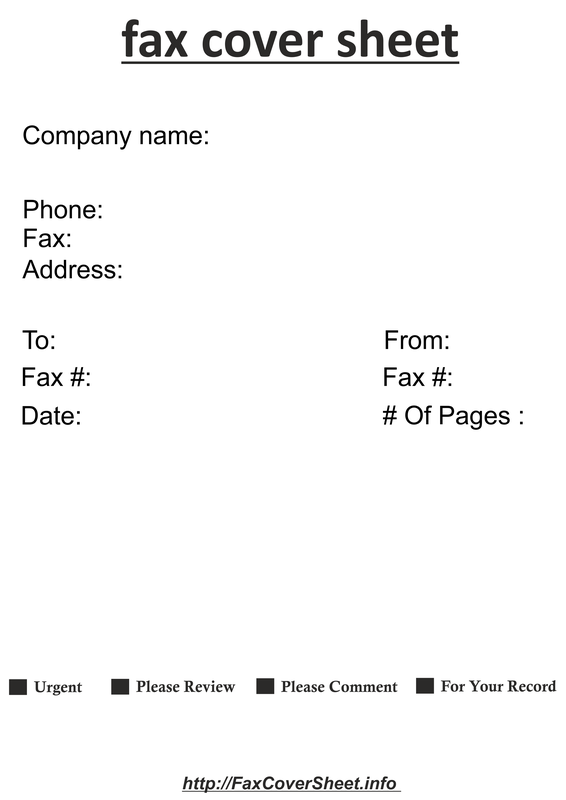 You can include a logo of your company so that recipient can come to know about the sender upon looking at the fax. You can add checklist as well which will include points like for review, urgent, need confirmation, need feedback etc. so that it becomes easy for you to use the same format for different perspectives. You can also add a subject line. You can also write down the email address of the sender as well as the recipient. This is the format which you need to follow while writing down the fax cover letter. Along with this, keep in mind that your message in the cover sheet should be concise and to the point. No need to write down extra information in it. You can give a brief introduction about the attached documents and what is the purpose of sending this fax to the recipient. Your details should be clear and to the point. Cover sheet is considered as a secure option to send any kind of information as in case of this cover sheet there are very fewer chances of missing any information. With the passage of time there comes a different kind of designs and theme in the market for fax sheet. You can also take help of sample cover sheets which will help you to clarify your doubts about how to write a cover sheet and you also need to focus on the format of this sheet as this is going to be used for the professional purpose. The format should be the same as mentioned in above-written points. Hope this information about how to write a fax cover sheet will be helpful for you.